They are 7 brothers, 7 friends. Just being themselves without a care in the world, Just learning new things and going through life's common struggles. But their youthfulness, their will to invoke their inner selves and understand what to fight for in their lives, is what gives people strength- Just by seeing them live- people remember what true happiness looks like. Thank you Elvis for truly seeing all their true beauty and understanding and researching them completely, and seeing them as special after years of meeting many different people. Thank you for all you said. Que hermoso msj de éste hombre hacía mis chicos esperó que ARMY también lo apliquen en sus vidas! Hobi. Just. Made. Me. Cry. Right. Here. 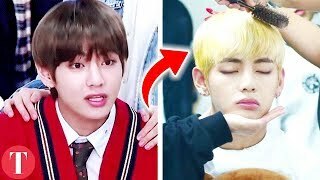 wauuu gracias Elvis por dar ese mensaje a estos grandiosos muchachos de BTS, es algo que tambien desearia decirles, que sigan siendo ellos mismos. Gran consejo. Ame tu entrevista!! Ah i really love elvis' message to the boys! How is Namjoon's english better than mine? I've studying for 7 years and i'm not even close! So proud of him! Their English understanding is getting better...cannot wait to hear Suga take the lead in an English interview. OMG J-hope! I was so surprised when he started talking! His English is so good! i love them so much!! I want to meet them one day, i wish they could come to Bergen again !! I really like this interview! Thank you so much! 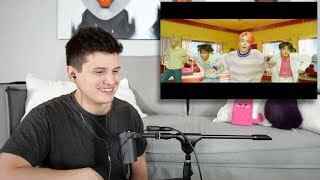 3:30 - "what's great about BTS is they are 7 individual people, and even though they're wonderful as a group together, they're all different, and you can tell they all have their unique personalities"
ITS A COMEBACK THATS WHAT IT IS!! 2:50 Hobi's English. You're welcome. Kookie baby where are you?? I can’t see you and your bambi eyes! Elvis Duran reminds me of a hollywood actor. He really does it’s just that I know actor but I don’t know name. OK IM RECORDING THIS AND SPLITTING THIS ON MY PC. That “Love you” by Jimin at 2:52 is going to be on my phone!!!! I'm crying throughout the interview. I don't know why 😭 my heart is full. "I'm um drinking my banana milk... So guys bring in the banana milk"
After they put the flowers, Kookie was blocked the entire time! Lol 🤣🐰🐇 And Hobi just wasn't in the shot...Buy Honestly Hobi's english improved so much! Love From Literally EVRYWHERE! KOOKIE!! !WHY DIDNT YOU TAKE THE BANANA MILK AND RUNNN!? An interpreter is needed. Guys can wear an earpiece. RM is working too hard. RM: Soldier Foeld Chicago, It was June? I REALLY WANNA CRY WHEN JHOPE SAID "THANK YOU ARMYs"
I LOVE BTS and I've been with them for a while now. I've learned about their personalities and the things that make each member unique when BTS is in their comfort zones. Their individuality made me fall in love with them, but I'm saddened when during American interviews they can't showcase who they are because of the language barrier. RM does a wonderful job translating, but it must be difficult translating and answering questions at the same time. Truthfully, the other members are left out of the conversation most of the time because they don't fully understand what's being said. I wish there was a way everyone could participate in English interviews as themselves so the rest of the world could understand why I fell in love with BTS.